I've literally worn the same pair of earrings every single day for three full years... (a little pair of diamond studs that Bryan gave me for our 5th anniversary.) Firmly ensconced in princess phase of late, Audrey has been begging me to wear "fancy", "dangly" earrings instead... Honestly I don't think it's ever going to happen, but if I did take the plunge, I'd don these lovlies from Prismera. p.s. I'm guest blogging over at My Favorites Things this week, sharing, well some of my favorite things. 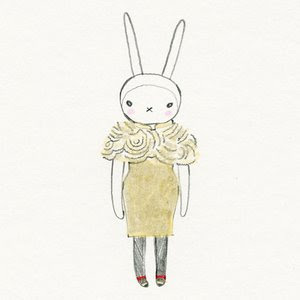 The über chic Fifi Lapin made the list today. Check it out. I have a pair of pearl studs that I wear every single day. I like to think of it as a "signature." Besides, they really class-up the carpool uniform of stretchy pants and a cardigan. i haven't worn any earings in 3 yrs...like that style best. those earring are darling and very fancy. LOVE these earrings! 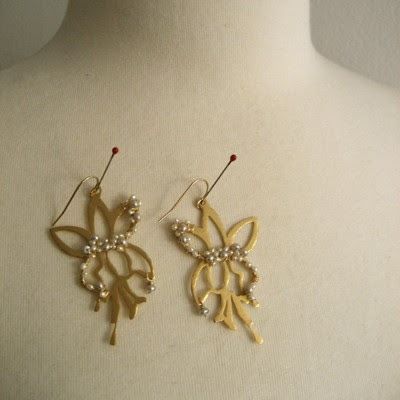 It's as though the little pearls are growing organically from the gold. Exquisite! they DO wear fancier clothes than me! Ack....swoon, swoon, swoon. I love these SO much. I hear you.....I have worn the same pair of diamond studs for-evah. I am off to check out your guest blogging! Yippee!